I made a commitment in December to write my first blog post. 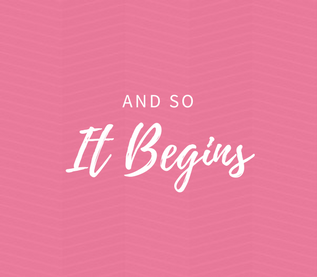 I’ve yearned to begin blogging for a long time—to share my thoughts, feelings, successes, failures, and experiences in an effort to inspire and connect with others, and to make meaning of my own life. My profession is based in education, but I didn’t want to focus soley on issues affecting students and teachers. Instead, I wanted my blog to be a space where I could write about the education of living a whole-hearted life. But my fears about doing so held me back for a number of years. While I am dedicated to showing up and being my authentic self, that doesn’t come without a little bit of fear. I believe I’m quite courageous at times, willing to share my stories and reveal my vulnerabilities. But being courageous isn’t the same as being fearless. It just means that I walk through the fear, even if others judge me. According to Dr. Brown, vulnerability—the willingness to show up and be seen with no guarantee of outcome—is the only path to more love, belonging, creativity, and joy. But living a brave life is not always easy; we are, inevitably, going to stumble and fall. That said, I’m opting for more love, creativity, and joy in my life. I believe it is worth the risk and that courage works! I have a deep desire to serve others in a way that helps them believe in their limitless potential. And I love encouraging people to truly reach for higher levels of living. I believe everyone has an innate potential for joy and the ability to cultivate more happiness in their lives. We are not victims of external forces that are out of our control, but strong individuals who have inner power that cannot be taken from us. We have to reclaim our identities, remember who we are, and what we want to represent. But in order to do so, we have to be brave enough to lean into the darkness and discomfort, and willing to dig deep and do the work. I’ve been committed to doing this work over the last two decades, faithfully reading every “elevate your life” book that’s available. I suppose I could simply say, “Here are the things you can do to make yourself happy. Just do these things and all will be well.” But to be honest with you, your happiness is dependent upon YOU doing the work. You have to be willing to walk into your stories of being hurt, shamed, disappointed. You have to slowly peel away a lifetime of layers, so that you can regain your footing in the midst of your current struggle. This is how values are forged and where one begins to get back to a place of truth. I’m widely considered to be a very happy person. I’ve been told I exude joy and enthusiasm and that I am full of passion. Oh, and that I smile a lot! These perceptions are mostly true, but what many people don’t know is the story behind the smile. They don’t see the darkness that had to be experienced so that the brightest stars could be seen and sought after, and the drive that darkness can ignite in you. They may not know that I have clawed my way through this life, overcome obstacle after obstacle, had mud thrown at me multiple times. Yes, I have known darkness and still do at times. But because of those shadows in myself, I continue to pursue the light. Those of you familiar with my work as an educational consultant may have expected this blog to focus on best practice instructional strategies and the like. Instead, I’m more interested in sharing a different kind of “education”: one that focuses on showing up for life and being real, imperfections and all; one that works to increase your levels of happiness, while remaining aware of the darkness that also resides in each of us. I believe we were put on this Earth to thrive, and that, along with God, we are the co-creators of our lives. Yes, we DO have the power to create our lives. And this friends, is the work I am ready to do. Life is a gift—one I want to appreciate and experience to the fullest! PS: As I mentioned, I’m a big believer in authenticity. So, in the interest of full disclosure, I feel it’s important to let you know that I couldn’t overcome my perfectionist tendencies and sent this first blog entry to my copy editor for proofing and editing. Perhaps next time, I’ll be more willing to accept the “gift” of my imperfections and publish my writing, warts and all. For now, I’m a work in progress. This is absolutely beautiful and I loved this. Just another one of your gifts. Yes, you are a work in progress, but also, and most importantly, a masterpiece!!!! Great post! Congratulations for stepping up and doing it!